Tottenham Hale (IATA: TTK), is a National Rail and London Underground Victoria Line station in Tottenham, north London. It is on Hale Road near the Tottenham Hale one-way system. The station is in Travelcard Zone 3. 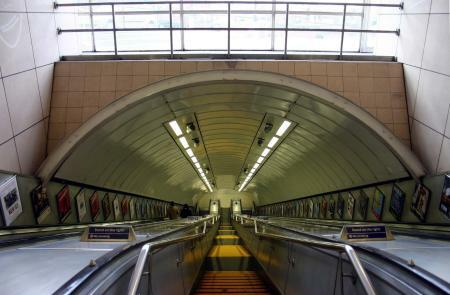 The station opened on 15 September 1840 as Tottenham. It was on the Northern & Eastern Railway (N&ER) line from Stratford in east London to Broxbourne in Hertfordshire. 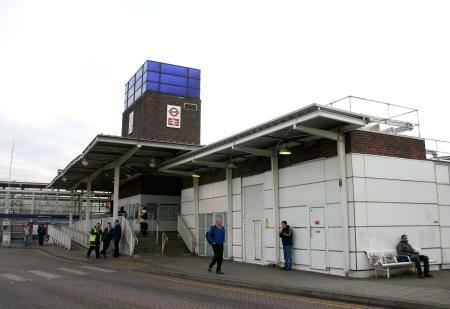 It was renamed Tottenham Hale on 1 September 1968 when it became an interchange station with London Underground on the opening of the first stage of the Victoria line. ↑ "Station usage estimates". Rail statistics. Office of Rail Regulation. Please note: Some methodology may vary year on year. Wikimedia Commons has media related to Tottenham Hale station. This page was last changed on 13 August 2018, at 18:33.